The top three resources to teach Hebrew to kids: Whether you homeschool or simply want to supplement your child's curriculum, these programs really deliver. Here's how to achieve real fluency in Hebrew: Learn Hebrew online with Israel's best teachers. The Rosen School's Hebrew Online program is not designed for children, but it offers a unique opportunity for teens and adults learn Hebrew at home, through the computer, with a live teacher in Israel – and several other students who may be located anywhere around the world. This is a fantastic resource, especially if you homeschool. The classes are recorded, so that you or your teen can go over the material again after class. Other homeschooling families have reported success with Rosetta Stone, although the program is not specifically designed for kids. Read our review of the Rosetta Stone Hebrew language course here. If you’re looking for introductory materials, such as the alphabet in Hebrew for younger children, you’ll find an interactive Hebrew alphabet chart at TorahTots.com, where your child can hear the sound of the letter and see a demonstration of how to write it in print and script forms. Older kids, particularly if they are used to self-study or homeschooling, may be able to learn Hebrew free with the excellent home study program designed by the U.S. government for diplomats. Return from Hebrew for Kids to Learn to Speak Hebrew. 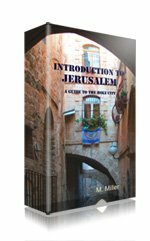 Return to Jerusalem Home page. I promise to use it only to send you Mah Chadash - News of Jerusalem.